The Railroad Trainman. Jan 1900. 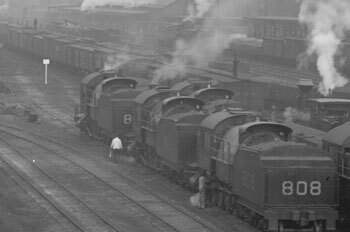 Note the locomotive fireman feeding a boiler at the left. 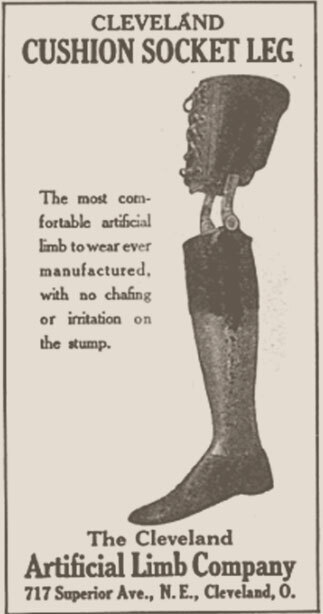 Artificial limb manufacturers knew railroad workers were a prime market and advertised frequently in magazines aimed at them. United Mine Workers Journal. Feb 1, 1917. 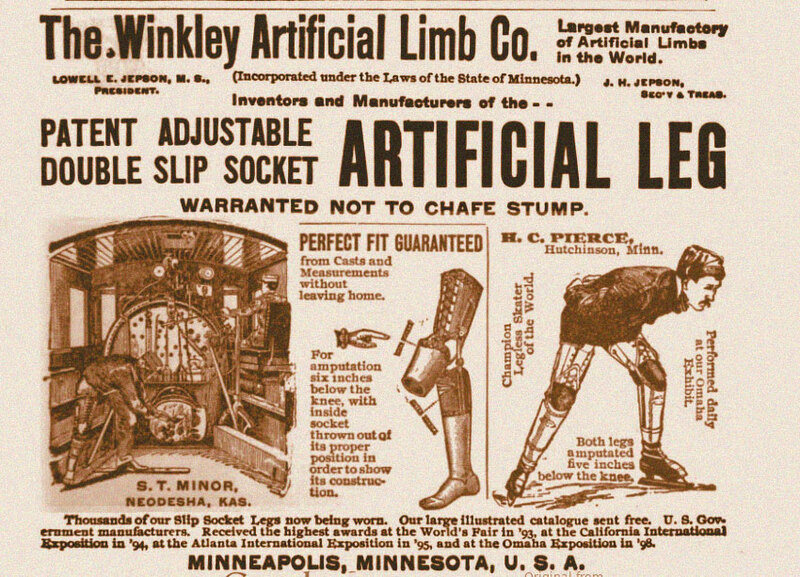 The Cleveland Artificial Limb Company stood across the street from Bullock’s cinema. They advertised widely in Ohio and, on this occasion, targeted coal miners. 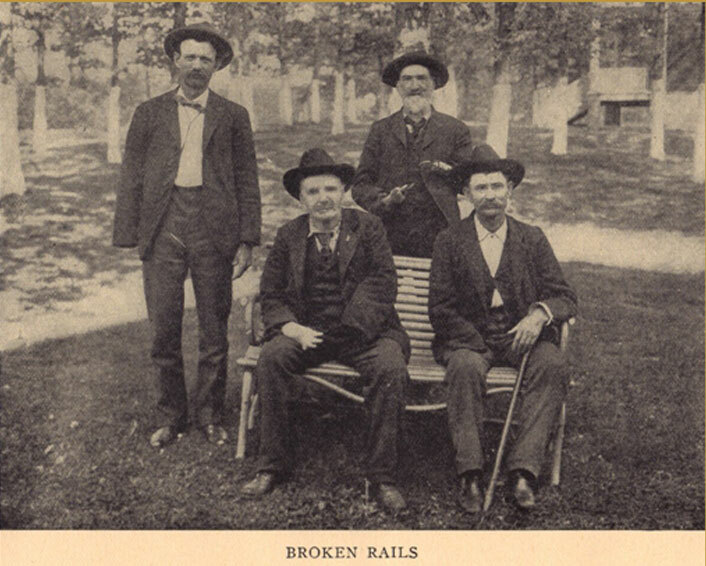 In the years around 1900, unskilled Eastern and Southern European laborers came to Collinwood, looking for employment in the railroad boom town. They followed already established You don’t have to die to win. . . .You lose a hand or a foot, you get your insurance, just the same. communities of mostly German and Irish immigrants. If those able to navigate the complexities of the town’s new economy profited from its growth, new arrivals with few marketable skills and no fluency in English lived in crowded poverty, an unhealthy, hand-to-mouth existence with tenuous employment often doing extremely dangerous work. Even more established immigrants and native-born workers with specialized training–railroad engineers and brakemen, for example–worked perilous jobs that came and went with the ups and downs of a volatile economy. The uncertainties and dangers in Collinwood appeared in railyards throughout the country. Before 1910 corporate officials did very little to alleviate D.L. & W. R.R. Yards, Scranton, PA, 1890-1901 (detail). LOC. Two brakemen ride on top of box cars in the top third of this image. In the foreground, an engineer oils his engine, his back turned to a working track with very little clearance behind him. hazards, generally preferring to risk men rather than spend money on safety. Railroad companies, for example, often chose not to maintain adequate air brakes for freight trains as they grew longer and heavier. To slow a train as it entered a yard or traveled down slopes, brakemen ran across narrow boards on top of moving box cars, jumping gaps between them, turning brake wheels as they went. A misstep dropped them under or to the side of trains, a common cause of dismemberment, brain damage, and death. Rain, snow, and ice made the brakeman’s job even more spectacularly dangerous. The combined death and injury rate for rail workers from 1903 to 1907 averaged about 4% per year. A worker who managed to stay employed in the Collinwood yards over that five-year span likely saw twenty percent of his co-workers suffer death or significant injury. Critics wrote with outrage about the carnage, but improvements came slowly or not at all. The Chicago Daily News called it “slaughter on [the] railroads.” The Chicago Tribune compared rail work to the battle of Gettysburg. William Ryan, a US congressman, presented statistics to show that working on the railroad was more hazardous than fighting Britain’s turn-of-the-century war in South Africa or America’s war in the Philippines . The railroad and the walking wounded of Collinwood taught residents daily and brutal lessons about bodily risk, suffering, and loss. None of that prepared them for the carnage of the school fire.